Place a large, deep skillet over medium high heat. Add oil and butter to the pan. Cube chicken and place in hot oil and butter. Brown chicken 3 minutes, add sausage, and cook 2 minutes more. Add onion, celery, pepper, bay, and cayenne. Simmer shrimp 5 minutes until pink and firm. Remove the pot from the heat and place on a trivet. 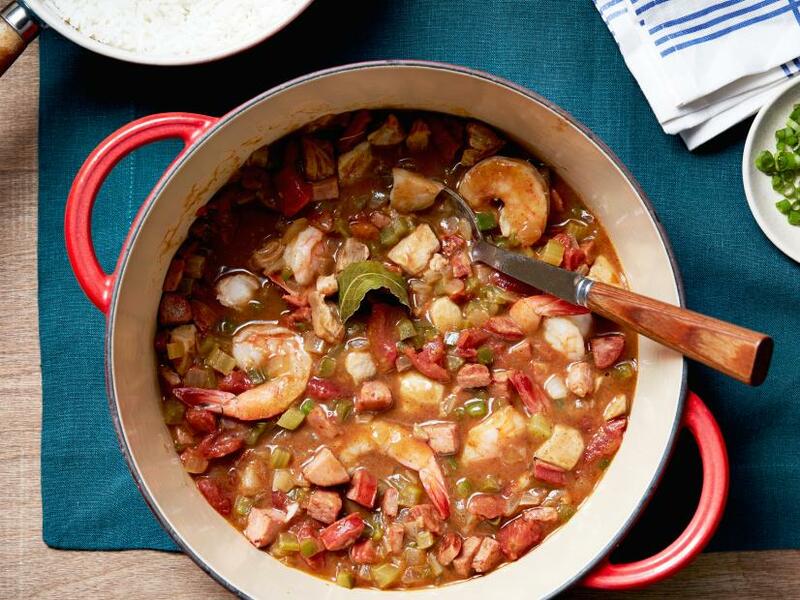 Ladle jambalaya into shallow bowls. Using an ice cream scoop, place a scoop of rice on to the center of the bowlfuls of jambalaya. Sprinkle dishes with salt, pepper, chopped scallions, and thyme leaves.